Today we’re announcing a new Publish2 feature that helps journalists curate the real-time and social web — a HUGE value creation opportunity. What’s Social Journalism? 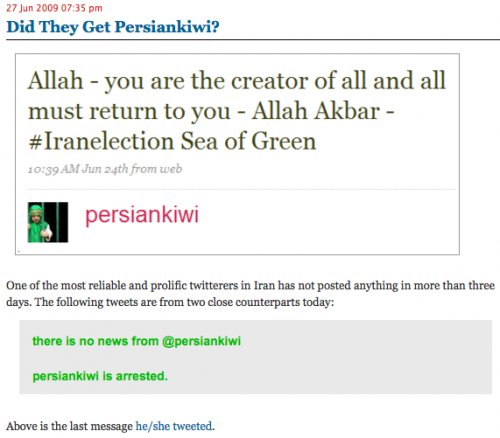 It’s what you do when you gather information in social media channels and then report it to your readers. 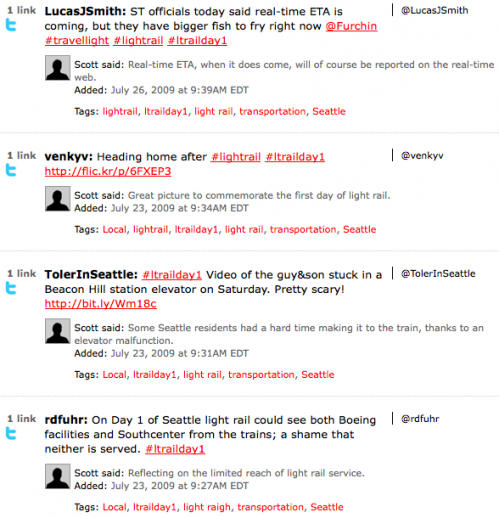 Watching a Twitter #hashtag for posts related to a critical local issue or big event, then publishing them in a roundup or sidebar on your news site? That’s Social Journalism. Scanning YouTube for the latest video from a protest, county fair, or city council meeting? That’s Social Journalism. Why is Social Journalism a huge opportunity for journalists and news orgs? 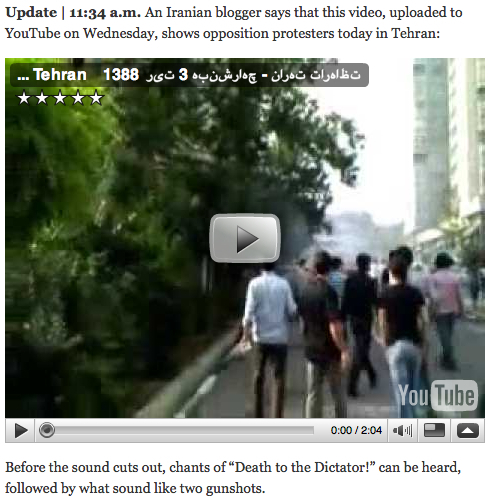 As watershed events like #iranelection have demonstrated, Twitter, YouTube and other social media are now a tremendous source of on-the-scene reporting and real-time information, but there is also a tremendous amount of noise obscuring the signal. We’ve seen this show before. Gonzo information on the Internet, film at 11. It’s a classic case of too much noise and too little filter. Nor is it incurable: various people and organizations have stepped into the breach to act as aggregators: bloggers like Andrew Sullivan and the staff of Global Voices Online spring to mind, as well as the New York Times and the Guardian, both of which have used running blogs to cobble the story together from its constituent parts and provide the context to make sense of it all. The opportunity to curate the real-time web isn’t just for watershed international events. At the local level, people are using Twitter and other social media to bear witness and share information for events in their communities. For example, earlier this month there was a huge fire at an apartment complex in Renton, Washington. 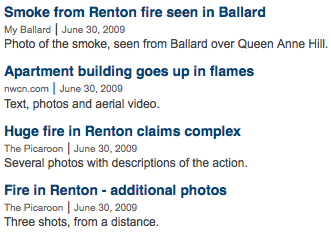 PNWlocalnews.com used Publish2 to round up coverage of the fire, including photos posted on local blogs. 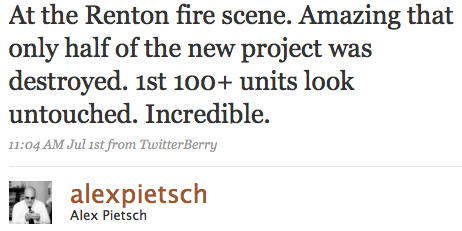 It would have been great to add tweets like this to the coverage round up of the fire. 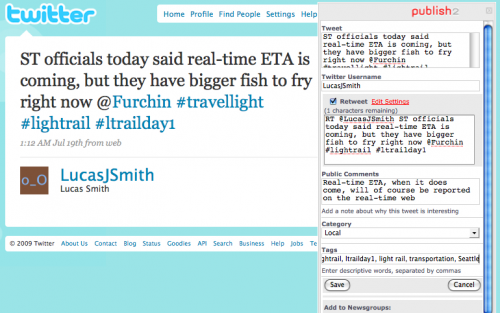 And now with Publish2’s Social Journalism features, you can do just that. Publish2 saves the full text of the Tweet and the Twitter username. Short URLs, usernames, and hashtags are automagically converted to links. 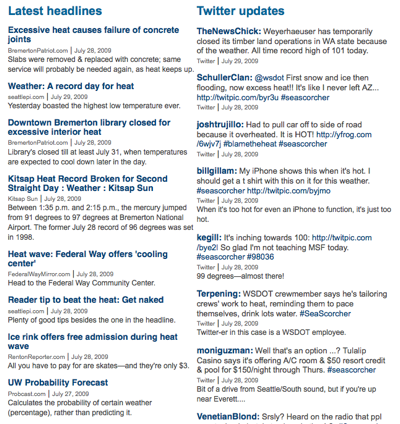 As with anything saved to Publish2, you can add a comment and tags, and also add to a newsgroup. 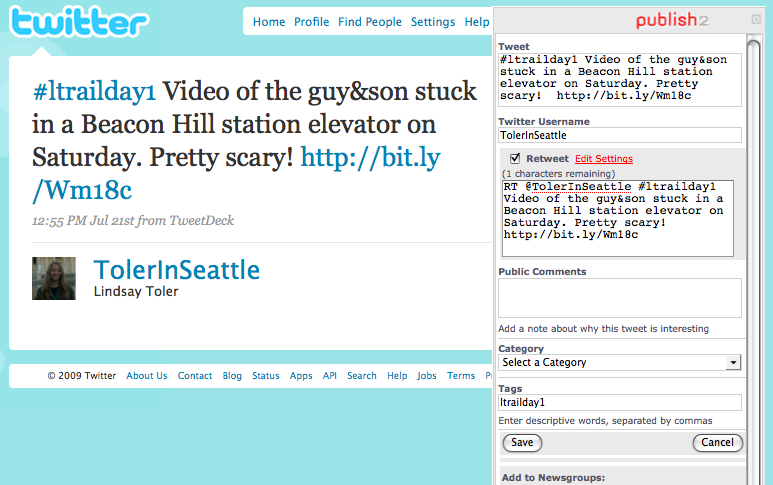 And… you can also share the tweet on Twitter, using Twitter’s native sharing mechanism: retweet. The tweet will automatically be formatted for retweet, and you can edit down the characters before saving and sending to Twitter. 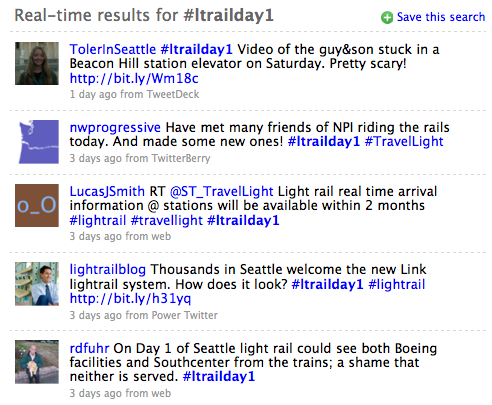 So now you can share retweets not just with Twitter followers but also with blog and site readers. 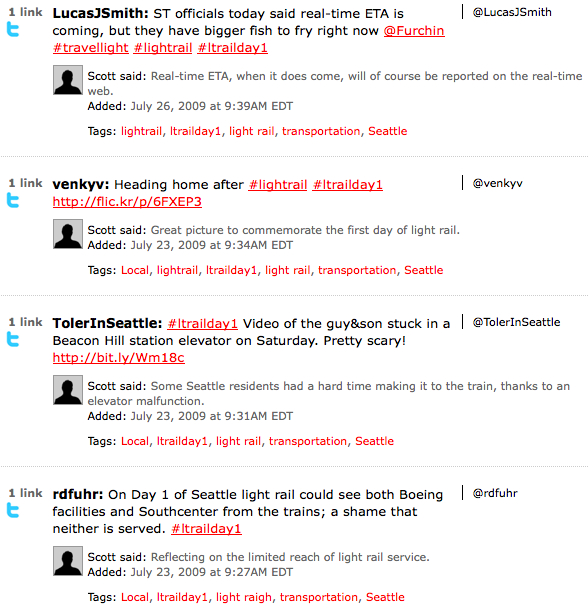 Social Journalism has clear value for breaking news, to curate what’s already being shared on the real-time web. But social media savvy news orgs are also prompting their communities to share their experiences with local events on Twitter. Anyone can post a raw feed of a hashtag (or follow it themselves as a saved search), but that’s essentially pointing the fire hose at your readers. The real value is in helping your readers sip from that fire hose. We’ve got lots more cool Social Journalism features in the works. Please give it a try and let us know what you think. Who’s going to be first to curate the real-time web? Ping us on Twitter and we’ll shower you with attention. 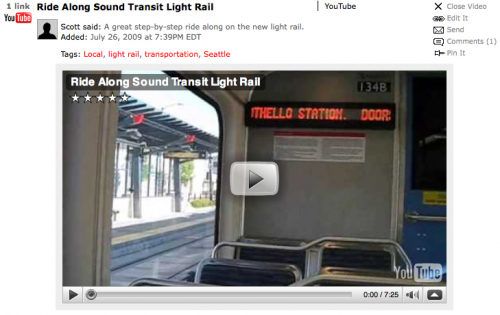 ALSO: Be sure to check out this screencast to see Social Journalism in action. 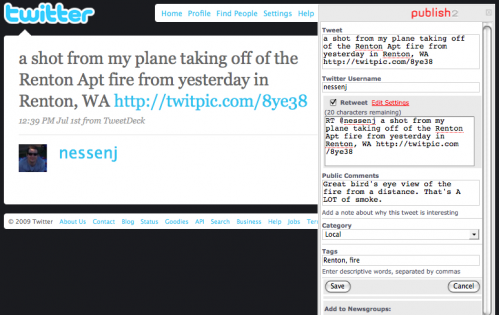 Are you ready to curate the real-time web with Publish2? Customize the width of the videos to fit the news site, sidebar, or story page where you embed your Publish2 widget.